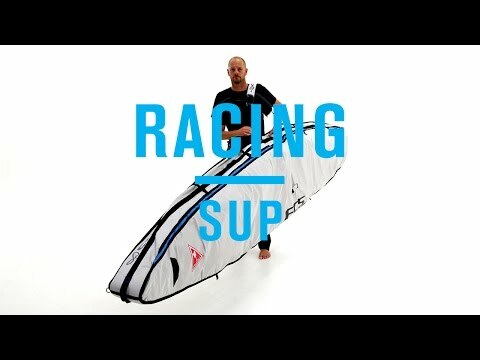 FCS Racing SUP Cover 12'6"
Protect your race-winning machine from hard knocks and baking rays. This bag is made to fit boards up to 3.8m. Ergonomic padded removable shoulder strap. Coffin wall construction for easy fitting. 5mm foam protects side top and rails. Airflow system lets your board to dry. Reinforced nose and tail area. Built-in red flag on tail for safety on your roof rack. Maximum board width is 80.5cm.